Successful comeback. After the divorce from Microsoft, Nokia has already come back with several new smartphones. With the 5.2-inch Nokia 5 mid-range model, the manufacturer scored promptly, since there is much to like and only little not to like in its offerings. We’ve long been lovers of the Moto G series for the top pick in the budget Android category, but the Nokia 5 knocks it off the top spot. With a better camera, better performance and a stunning design, we are blown away by the low price tag offered here. Overall I would say the Nokia 5 has its flaws, but on the whole it could be a whole lot worse. As a first time user will it be sufficient. However for someone who may be looking for something with more raw power and performance then it might be worth looking at what other device might be available for under $400-$500 market range. Priced at 12,499 INR, the Nokia 5 can be recommended to the basic users, simply because of the limited RAM and storage. At the same time, its premium build quality and iconic branding will certainly appeal to many buyers. So if you don’t play high-end games on your smartphone or indulge in heavy multitasking and want a Nokia Smartphone, you can consider Nokia 5 as an option. To help meet its price target, Nokia has prioritised hardware design and robustness over processor speed and storage space, and also opted for a simple camera setup and a moderate-resolution screen. The inclusion of a fingerprint scanner is welcome the face of such compromises. I always find it tricky to review budget devices like this. When you spend this little – €189 to be exact – you know that you’re not likely to get the very best design, specs, and camera. Instead you need to choose which of these things matters most to you and where you want the limited budget to go. The Nokia 5 is for those people to whom looks matter more than specs and performance. If you want a phone that will serve as a bit more of a fashion statement and look good when you use it, then this might be a solid choice. The Nokia 5 certainly gives a good first impression, with its shiny metal unibody, nostalgic design and low asking price. Boot it up and you’re presented with a clean version of Android Nougat, along with expandable storage for filling the phone with your apps and media collection. You even get full fingerprint security and NFC support for contactless payments. Overall, this is a highly attractive phone. Though it can’t match the super-fast processors or dual-lens cameras of flagship phones, it looks fantastic and performs better than the price point suggests. With more phones to come, HMD has planted a flag in the sand to indicate that Nokia phones, including this one, are likely to be capable, powerful and great-looking. Nokia 5 is an upgraded version of Nokia 3 and it has fingerprint scanner in it which is a plus point. It has given us positive results in every section and the features are quiet impressive. The device has affordable price value which can target the audience easily because users used to love Nokia a lot. Some makers have a dozen of series of smartphones, a handful of models in each - the new Nokia has just three models, with a 4th one allegedly on the way. But even with these three currently in existence, the reborn Finnish brand covers the low-to-mid tier quite efficiently. The Nokia 5 is the best-looking smartphone at its price point, but in use it’s not quite as sharp as some of its rivals. Battery life struggles when pushed, and you’ll need to be patient, as load times can be lengthy. We’re impressed by the Nokia 5, particularly when considering the price tag. It’s good-looking with decent specs and we love addition of Android without overcomplicating it with any sort of overlay. We expect the Nokia 5 could become a really popular choice for anyone in the market for a mid-range phone, and a strong contender for the Moto G5. 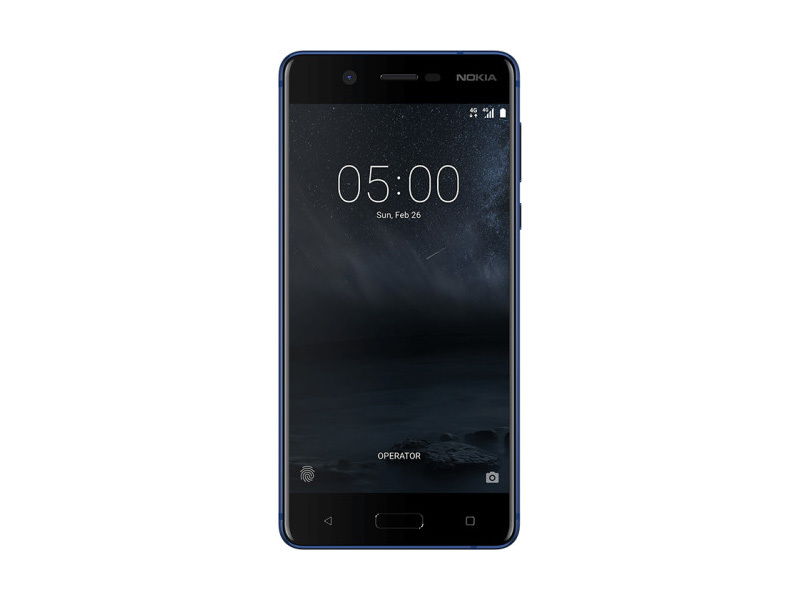 For the price, the Nokia 5 seems to offer an excellent selection of features, but it’s surrounded by equally capable handsets above and below it. Nokia's strategy is to offer a selection of affordable Android smartphones, carrying that Nokia name and giving you a no compromise design and build. That's been achieved and although we don't think that the Nokia 5 is as good looking as the Nokia 6, there's no denying that it feels solid - it's an impressive phone for the asking price. Positive: Good price; nice design; high autonomy. Negative: Poor cameras. Positive: Nice design; good display; decent speakers. Positive: Metal case; beautiful design; decent hardware. Positive: Nice design; great built quality; good price. Negative: Short battery life. Positive: Decent hardware; nice display; good cameras; metal case; decent battery life. Positive: Premium design; metal case; fast fingerprint sensor; good price. Positive: Stylish design; decent performance; nice built quality; good price. Positive: Great built quality; metal case; long battery life. Negative: Poor display; poor cameras. 70% Test Du Nokia 5 : Une Bonne Alternative Au Moto G5 ? Positive: Nice design; metal case; fast fingerprint sensor. Positive: Compact size; fast fingerprint sensor. Negative: Poor display. Positive: Compact size; nice design; metal case; bright display; decent performance; long battery life; good main camera. Negative: Poor selfie camera. Đánh giá nhanh Nokia 5: Chiếc "Lumia" chạy Android, nhưng camera có ngon? Positive: Solid workmanship; decent display; good hardware; nice cameras. Positive: Large screen. Negative: Poor display; relatively high price. 71.85%: This rating is bad. Most notebooks are better rated. This is not a recommendation for purchase.